Welcome to Harbor City International! We are a public, tuition-free charter high school located in downtown Duluth, Minnesota. Our focus is on college preparation, and we offer a rigorous academic curriculum in an atmosphere of belonging and respect. Because we are a small school with excellent student-to-teacher ratios, each student thrives under personal attention and individualize d support. Our students develop critical thinking skills and a mindset of success in the care of teachers who are dedicated to the educational process and passionate about their fields of study. We invite you to explore our website to learn more about our outstanding programs. Whether you are interested in enrolling or you are a current HCIS parent or student, you will find an abundance of information to help you make the most of your time with HCIS. 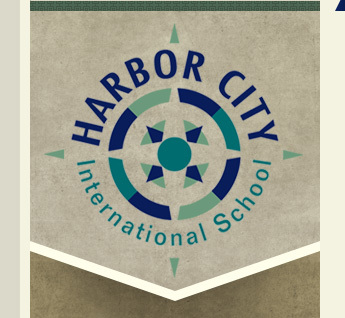 After 23 years of teaching high school English in Mexico, Puerto Rico, and Minnesota, I am grateful for the opportunity to serve the students, staff, and parents of the Harbor City International School (HCIS) community as executive director. I have spent the past 11 years teaching and serving on the board of directors at the Math and Science Academy of Woodbury where I served as board chair working with the school community on a five-year strategic plan which inspired me to enroll in the administrative program at St. Mary’s University where I received my k-12 principal’s license. As a formerly active member of the leadership team of my previous school, I am a firm believer in the importance of a school’s mission statement, and I plan to maintain a meaningful focus on the mission of HCIS. In my experience as an educator, I have observed that when students feel a strong sense of belonging to their school community they are more likely to maximize their potential as college ready, high achieving global citizens. As director, I aim to cultivate a unified school community that involves students, staff, and parents in an environment where everybody cares about the mission of the school and the well being of one another. I look forward to meeting and building relationships with the students, staff, and parents of HCIS, and I plan to keep my finger on the pulse of the school by being involved and supportive with what the students and teachers are experiencing, both in the classroom and in extracurricular activities. Moreover, I want to develop an environment where parents feel welcome and willing to be active participants in school events and the big decisions that involve the education of their children. One of the most meaningful aspect of my career as an educator has been the connections I have made with students, staff, and parents, and it is a great priority of mine to make meaningful connections at HCIS. We are going to have a great 2018-2019 school year, and I plan to assist however and wherever I can to give the students, staff, and parents of the HCIS community the support needed to stay the course of the school mission and vision. 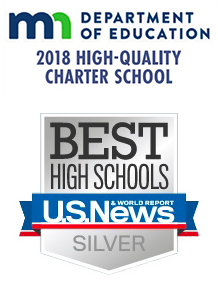 Thank you for choosing Harbor City International School. We are proud of our status as a top Minnesota Reward School for the past five years. One hallmark of a successful organization is a mindset of “continuous improvement.” Recognizing these mandates (see below) from MDE and our Authorizer, Volunteers of America, and the need to continually “raise the bar” for our school, the daily schedule for next year is printed below. The schedule is the same Monday through Friday. The schedule is the result of studying data, collaborating with teachers, and visiting with several of the top performing schools in the state and aligns well with our mission statement. 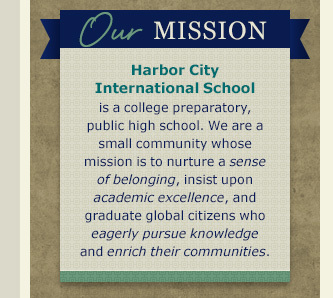 Harbor City International School is a college preparatory, public high school. We are a small community whose mission is to nurture a sense of belonging, insist upon academic excellence, and graduate global citizens who eagerly pursue knowledge and enrich their communities. 1 8:30 a.m. 9:24 a.m.
2 9:28 a.m. 10:22 a.m.
3 10:26 a.m. 11:20 a.m. Lunch 11:20 a.m. 11:50 a.m.
4 11:50 a.m. 12:44 p.m. Academic Pursuit 12:48 p.m. 1:28 p.m.
5 1:32 p.m. 2:26 p.m.
6 2:30 p.m. 3:24 p.m. The primary purpose of charter schools is to improve all pupil learning and all student achievement. The new schedule allows Advanced Placement and College in the Schools courses to have 20% more class meeting times than our previous schedule. The teaching staff will have common collaboration time during the school day. The new schedule allows us to comply with the Minnesota Career and College readiness requirement by providing same grade level groupings during the school day where a college readiness program will be implemented. Students will have time built into their schedules for organization, coursework completion, and study. The schedule will allow special education teachers to co-teach with general education teachers. This change will afford special education students the opportunity to take enrichment electives such as art, music, and theater. We look forward to another very successful school year and wish you a very fun and memorable summer.